during Friday's game at Staples High School on May 20, 2011. Staples' Maeve Flaherty controls the ball during Friday's game at Staples High School on May 20, 2011. Staples' Elizabeth Driscoll carries the ball as Ridgefield's Casey Briody defends during Friday's game at Staples High School on May 20, 2011. Staples' Nikki Seo controls the ball as Ridgefield's Melissa Galione defends during Friday's game at Staples High School on May 20, 2011. Staples' Maeve Flaherty passes the ball as Ridgefield's Casey Briody defends during Friday's game at Staples High School on May 20, 2011. Staples' Sami Bautista carries the ball as Ridgefield's Hannah Dighton defends during Friday's game at Staples High School on May 20, 2011. Ridgefield's Hannah Dighton and Nikki Seo compete for control of the ball during Friday's game at Staples High School on May 20, 2011. Staples' Nikki Seo controls the ball as Ridgefield's Hannah Dighton defends during Friday's game at Staples High School on May 20, 2011. Staples' Adele Mackey controls the ball during Friday's game at Staples High School on May 20, 2011. Staples' Remy Nolan carries the ball as Ridgefield's Hannah Dighton defends during Friday's game at Staples High School on May 20, 2011. Staples' Nikki Seo takes the ball toward the goal as she is surrounded by Ridgefield defenders during Friday's game at Staples High School on May 20, 2011. Staples' Remy Nolan controls theball during Friday's game at Staples High School on May 20, 2011. Staples' Remy Nolan passes the ball as Ridgefield's Eliza Marcus defends during Friday's game at Staples High School on May 20, 2011. 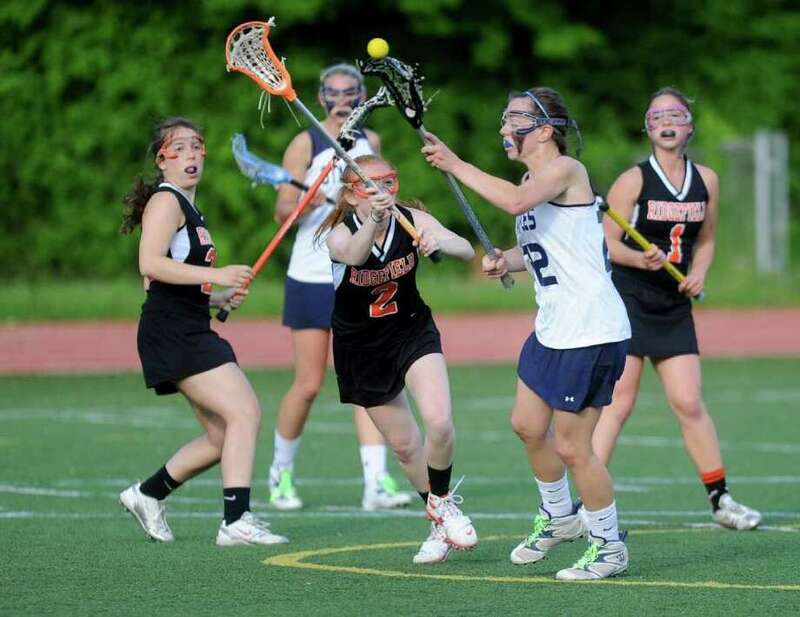 The ball hops out of Ridgefield's Hannah Dighton's cradle as she is stick-checked by Nikki Seo during Friday's game at Staples High School on May 20, 2011. Staples' Nikki Seo takes a shot during Friday's game at Staples High School on May 20, 2011. Staples' Nikki Seo controls the ball during Friday's game at Staples High School on May 20, 2011. Nikki Seo, left, led Staples to an 11-0 start and plans on playing lacrosse at MIT next year after doing a gap year in France this year. Seo is one of the top 100 local sports personalities in 2011.